Most slot players won’t take home a seven-figure or even a five-figure jackpot in their lives. Even fewer will win twice. Incredibly, one player recently netted two such jackpots – within the same hour. The winner’s luck is rare, but is not unique when it comes to gambling opportunities in the Magnolia State. 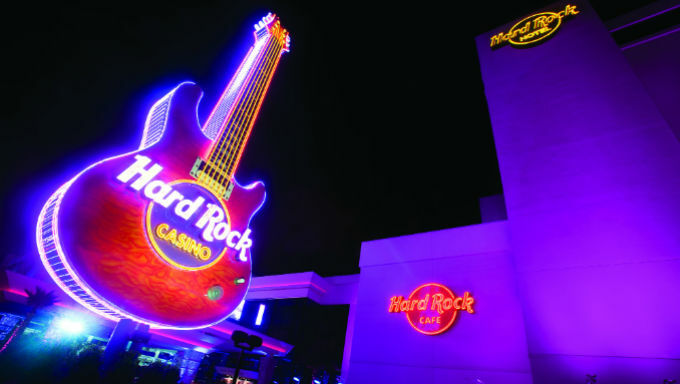 A Gulf Breeze, Florida slot player won two jackpot games July 18 at the Hard Rock Casino Biloxi. The man, identified in the Gulfport Sun Herald as "Fred S." won nearly $1.3 million. Playing at the Double Diamond 3x, 4x, 5x slot machine in the high-limits slot section of the casino, Fred turned a $20 spin into the biggest jackpot payout at a Gulf Coast casino in three years. Mississippi Gaming Commission officials review all wins of more than $100,000, a process that takes about an hour. In the meantime, Fred passed the time at another slot machine – and won another $14,000. Nick Polanco, the Hard Rock’s vice president of casino operations, called Fred’s spin “life-changing.” With its casinos now taking sports bets, Mississippi is also offering plenty of other big-money opportunities for players looking beyond slot games. The third state in the United States with casino gaming, Mississippi was also ahead of the curve for sports betting. Even before the Supreme Court overturned the federal ban on wagering, Mississippi lawmakers prepared laws to allow bets in the state. The law received widespread support from the legislature and Gov. Phil Bryant. After several months of regulatory reviews, on Aug. 1 Mississippi became the fourth state in the nation to take sports bets, behind only Nevada, Delaware and New Jersey. It was also notably the first state to take bets after beginning its sports betting framework essentially from the ground up. Nevada had a full exemption to take bets ahead of the federal ban. Delaware had a limited exemption, which let it offer football parlay cards, but that was enough to give it a head start in legalization. New Jersey had challenged the law in court for several years, putting it on the forefront of any gambling developments. Mississippi’s established casino infrastructure obviously played a part in sports betting. Casinos contribute billions of dollars in revenue and overall economic impact annually, so it was logical for the gaming stakeholders and lawmakers to push for another revenue opportunity. It also gave Mississippi a huge jump on its neighbors for sports betting and its ensuing tourism dollars. Other southern states remained more skeptical of casino gambling when Mississippi launched its industry in the early 90’s. The same has remained for sports betting. Louisiana, perhaps the second-most progressive southeastern state when it comes to sports gambling, could not pass a bill in its previous legislative session. Meanwhile other neighbors like Tennessee, Alabama and Florida has either resisted sports betting or remained largely opposed. With the exception of a possible gambling expansion in Arkansas, which is contingent on a voter referendum, Mississippi is poised to dominate the region’s sports betting market for years to come. Along with big-money prizes at slot and casino table games, the Magnolia State is set to produce more winners than ever.